Sydney-based tech company Switch Media has done a deal with Foxtel which it says will give the pay TV broadcaster’s subscribers a more streamlined viewing experience, particularly on smartphones and tablets. The deal sees the introduction of Switch Media’s Australian-developed AdEase server-side ad insertion technology by Foxtel to replace its client-side solution. 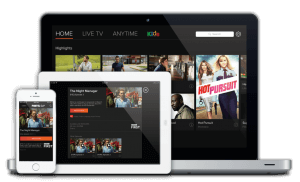 Christopher Stenhouse, chief executive of Switch Media, said the rollout of AdEase now meant that Switch was delivering a “full over the top (OTT) solution” for Foxtel. “Switch worked with Foxtel to build and maintain their revolutionary Foxtel Go app which enables subscribers to take their pay-tv viewing with them as part of their subscription,” Stenhouse said. According to Stenhouse, the switch to AdEase was the logical step to further enhance Foxtel’s services. “With its capacity to create a seamless viewing experience between advertisement and programming play out, AdEase allows Foxtel to continue providing the high quality viewing experience the public has come to expect from their home TVs. “As a CMS platform-agnostic solution, it plugs into and works with any existing systems and workflows in place, meaning content does not need to be re-ingested. Foxtel’s director of product, Michael Ivanchenko said Foxtel has a long-standing relationship with Switch Media “from development of the multi-award winning app for our online coverage of the London 2012 Summer Olympic Games, to the build and ongoing support for other Foxtel services”.